A study of broncho-alveolar lavage cytology in patients of rheumatoid arthritis. A study of peak-expiratory flow rate in healthy school children, 6-16 years of age. Blood carboxyhemoglobin levels in different types of smoking. Correlation between morphological changes and impairment of ventilatory function in patients suffering from bronchiectesis. Cough reflex threshold and diabetic autonomic neuropathy : correlation with ECG parameters of vagal involvement. Echocardiographic evaluation of cardiac involvement in sarcoidosis. Echocardiographic evaluation of right and left ventricular functions in corpulmonale with chronic obstructive pulmonary disease in acute respiratory failure. Effect of ciprofloxacin and ibuprofen on blood levels of rifampicin in patients receiving antitubercular treatment. Effect of domestic fuels on lung functions in females. Effect of esophageal variceal sclerotherapy on lung function. Effect of irradiated lung volume on the pulmonary functions following postoperative radiotherapy in carcinoma breast. Effect of mechanical ventilation on surfactant levels in patients with ARDS. Erythrocyte (RBC) antioxidant enzyme levels in patients with primary lung cancer. Estimation of nitrate production by alveolar macrophages in bronchogenic carcinoma. Evaluation of pulmonary changes in patients of psoriasis on methotrexate therapy. Hepatoxicity with INH and Rifampicin. Hypothalmo-pituitary-adrenocortical axis in inhaled corticosteroid users, not an oral corticosteroid: a longitudinal study. Immunohistological studies in tubercular lymphadenitis. Lung functions with relation to the fuels (biomass, LPG, kerosene and mixed) used in the houses of children in the age group of 7-15 years. Neutrophil count and myeloperoxidase activity in smokers. Neutrophil superoxide (free radical) levels and total neutrophil count in peripheral blood of smokers (asymptomatic and symptomatic with chronic obstructive pulmonary disease) of cigarette, bidi, hookah and mixed product. Vitamin A, beta-carotene and vitamin C in patients of lung cancer. Non-invasive evaluation of cardiac abnormalities in rheumatoid arthritis. Production of anti-oxidant enzymes by pulmonary alveolar macrophages in patients with lung cancer. Production of oxygen free radicals by pulmonary alveolar macrophages in patients with lung cancer. Pulmonary function changes after large volume paracentesis in patients with cirrhosis of liver and ascites. Pulmonary function in patients of idiopathic ulcerative colitis. Quantification of cells recovered by bronchoalveolar lavage in pulmonary tuberculosis. Radiologic evaluation of total lung capacity. Respiratory symptoms among the farmers. Role of domestic fuels on the course of bronchial asthma in nonsmoking women. Skin hypersensitivity and precipitating antibodies against Aspergillus fumigatus in patients of bronchial asthma. Spectrum of changes in computed tomography in chest in pulmonary tuberculosis. Status of reactive oxygen species and anti-oxidant defense system in alveolar macrophages and peripheral blood neutrophils of lung cancer patients. Studies on T-Lymphocytes in tubercular pleural effusion. Study of carcinoembryonic antigen and sialic acid levels (total and lipid bound) in patients with lung cancer. Study of effects of 6 months' therapy with methotrexate on pulmonary functions in patients of rheumatoid arthritis. 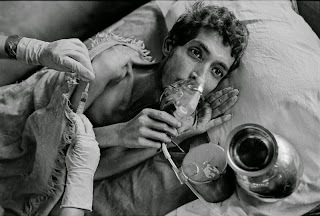 Study of respiratory tract involvement in leprosy. Surfactant protein-A and nitric oxide derivatives in lung lavage obtained from patients with idiopathic pulmonary fibrosis.